For the first time in forever, you can have the Ice Princesses visit your party! Princesses “Hannah” and “Helsa” can help celebrate your little princess’ special day; they’re also great for fairs, grand openings and more! They sing! They do “chilly” crafts! They’re not what you’d call a fixer-upper! 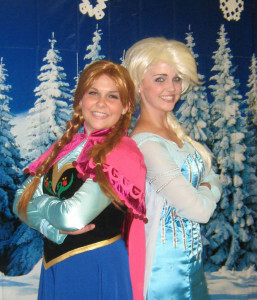 For more information or to book them for your upcoming party, e-mail us for the Ice Princesses’ availability!